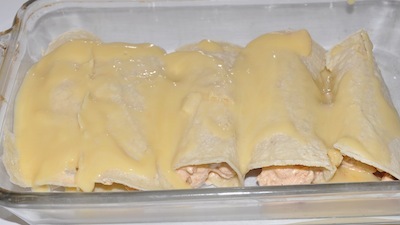 This recipe for chicken enchiladas can be changed slightly by substituting white or brown rice for the cooked white beans. You can also leave the beans out if you'd like. This is a great recipe for freezing extra. It also can be prepared the night before or morning and left in the fridge until cooking time. 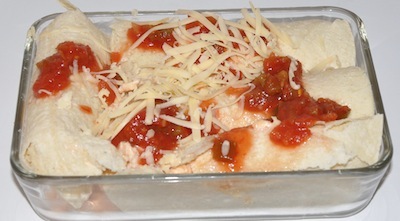 In large bowl, blend chicken, cream cheese, salsa, cheese, beans and salt and pepper. Stir together to combine. In separate bowl, stir cream chicken soup and milk together until blended. Add 1/2 cup of cream of chicken soup to chicken mixture. Blend together. Add 1/4 cup of chicken, or as much as desired, to a tortilla. Roll up and place in casserole dish. Continue with remaining tortillas and chicken mixture. 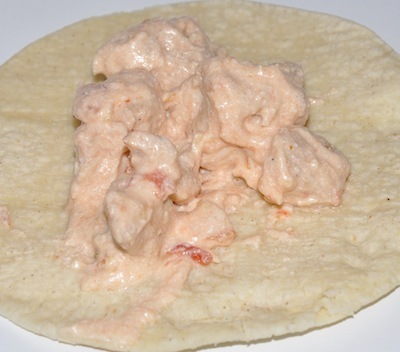 Pour remaining cream chicken sauce over the top of your tortillas. Bake at 350 degrees for 20 minutes. Serve with chopped avocado, tomatoes or prepared guacamole. Make an extra one for the freezer! Place chopped cooked chicken in bowl. Stir in shredded cheddar cheese (as much as desired) chopped peppers or chopped olives. Sprinkle with salt and pepper and stir together. Spoon chicken mixture down center of each tortilla, roll up. Place seam side down in baking dish. 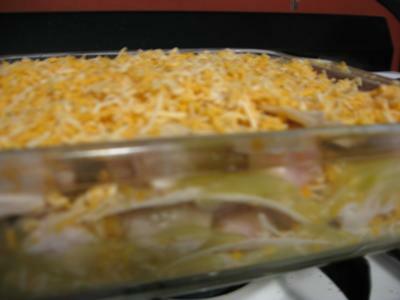 Top with enchilada sauce and sprinkle with cheddar cheese. Bake at 375 degrees for 20-25 minutes. Heat green sauce on low & add 1/2 cup milk stir until blended. Ladle sauce into 9x12 pan about 1/2 inch thick. Start first layer of tortillas. Cook turkey in microwave until almost done, slightly pink in the middle (if using leftover turkey from holidays just shred). Shred one layer of turkey over tortillas. Add one layer of cheese over turkey. Ladle more sauce over cheese (about three ladles). Repeat this process two times. MAKE SURE TO SAVE ABOUT 1 CUP OF CHEESE FOR TOP. End with layer of tortillas. Add last cup of cheese and top with left over sauce. You may add olives to top and/or green chilies to sauce. Mom makes this with chicken also!! 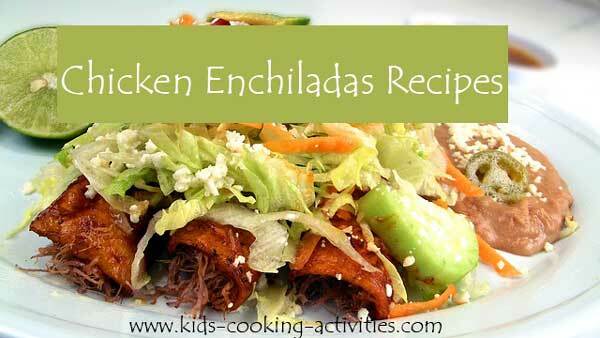 Here is a recipe for beef and bean enchiladas.